A little late for a new year’s blog, but still… HAPPY NEW YEAR! I can hardly believe it’s 2014. I feel like I’m in a Sci-Fi novel, except it’s kind of boring. The plot is old and the politics are always the same. And where are the jet-paks and house-cleaning robots? 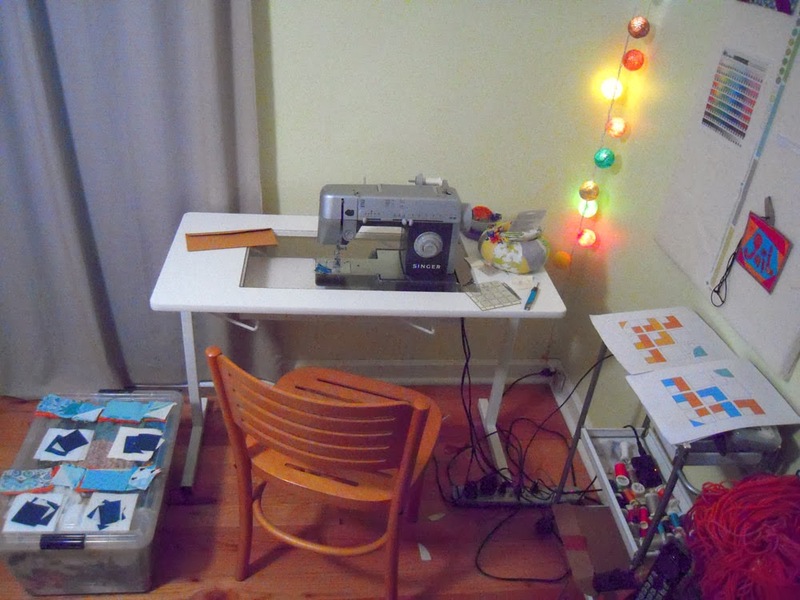 All joking aside, I’m happy to start a new year with new goals and new quilty friends! This year, my main focus is my health and pain control. I’ve been working with a PT and a massage therapist to try to twist my back back to where it should be (scoliosis) and take the pressure off my hips (sciatica, pulled psoas, inguinal strain) and give relief to my knees and ankles. It just means I have to make sure to do daily exercises, and work back up to long walks and eventually back to the gym. My diet is a constant consideration, and if I focus on a paleo plan, I think my abdominal issues will be better too. I can do it! 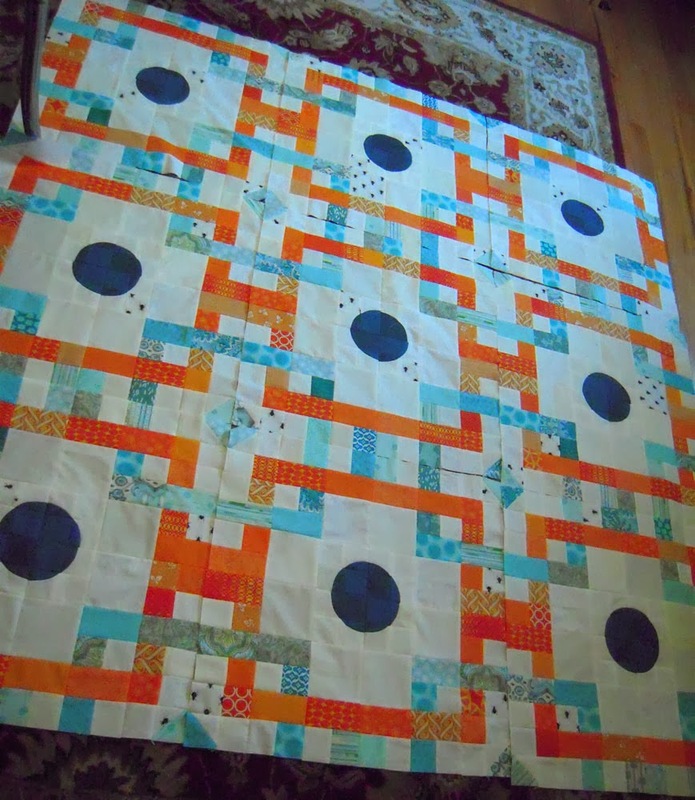 I have them all laid out on the floor, and am going to figure out the best way to fit them together and which side to make the top, and how much of a border to add around the sides and top. Each of the (9) blocks are 24″ square. I was able to get a lot done at the PMQG All Day Sew last Saturday – it’s always inspirational to see what others are making, and that’s good when you need to plow through some big blocks! I’m all about the process of this quilt. Been trying to get my 1/4″ seams perfected on my machine, it’s a bit tough… but I’m into the challenge. The circles got better with each block, but most of them look a little fractured, and I kinda like it. Following a pattern was hard for me, and I spent a lot of time taking seams out because I sewed something upsidedown or backwards. Beyond that, there are goals we have for our business, which include a big website update and basic organization. 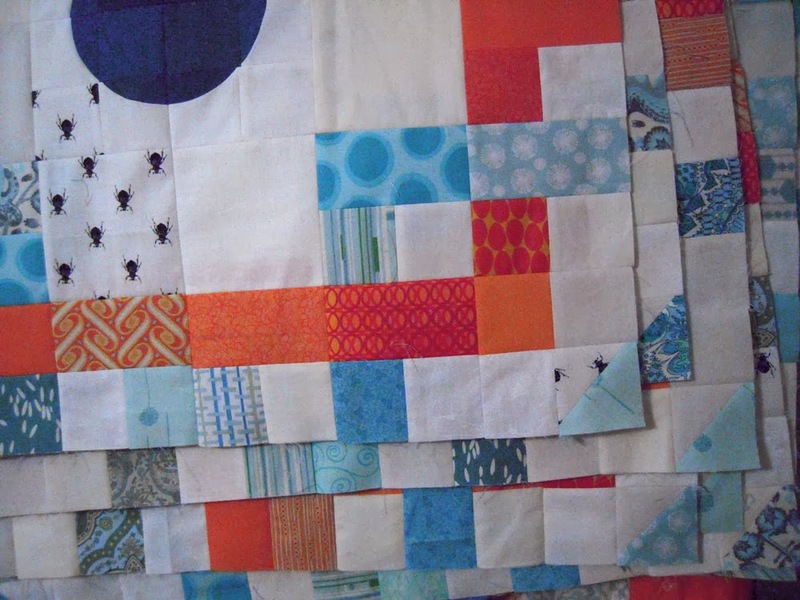 We are also thinking of mixing some screen printing with some quilting this year, and that should be fun! And there will always be the new house with a long project list. Once I get our taxes done this year, I’m hoping to get a return and be able to fix our fence so we can get a new dog (or two). I can’t tell you how hard this winter has been without a warm cuddly creature to snuggle with, however… I DO really like how clean the house stays without the constant in and out of a dog, so I guess I can deal for a little while longer. So if you see some strange woman on the street careening towards your dog for some affection… yeah, that’ll be me. I'm loving your new quilt, Gail! Next PostNext A First Time For Everything!